Our Lab offers thought leadership and consulting services in evidence-based, design thinking. In collaboration with our clients and their teams, CAMA frames design challenges that need solving, collecting and sharing knowledge through a variety of venues, workshops, deep dives, case studies, project playbook, lectures, and publications. CAMA and 30 other professional consulting firms have collaborated with Piedmont Atlanta Hospital to redefine the patient and family experience for a new surgical bed-tower. As the experience design consultancy for the project, CAMA facilitated a series of visioning workshops with Piedmont staff and patient advisors and captured the creative design ideas in a report that was updated and refined throughout the planning and design phases. Conventional care models have only recently come under scrutiny for treating illness and injury as discrete medical events, rather than adequately addressing the root causes of disease. 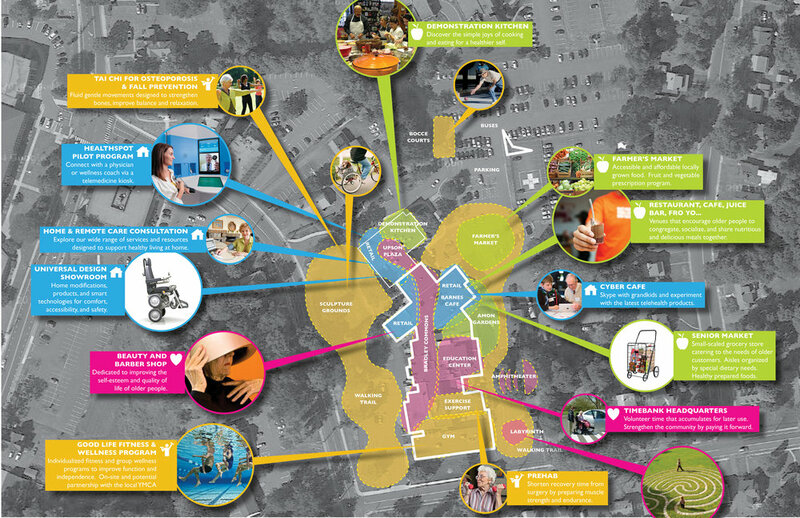 With this project, we aimed to evaluate repurposing hospitals as Community Centers for Health.